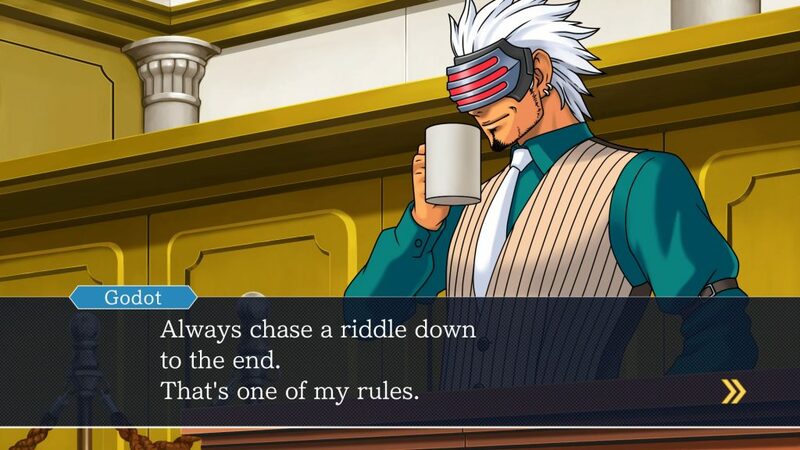 Phoenix Wright: Ace Attorney has been a rather interesting franchise. After its initial debut on the Game Boy Advance, it quickly became a hit, despite visual novels being a mixed bag, resulting in a wide variety of titles. Despite not being a fan of visual novels, I found myself captivated by the story and journey of Phoenix. Now that some time has passed, Capcom decided to bring it back and to other platforms. With more players getting the chance to experience the charming series, will they take that or scream objection at the idea of playing an attorney? 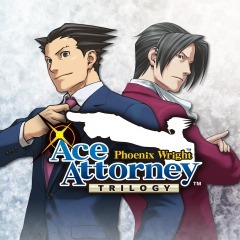 Phoenix Wright: Ace Attorney Trilogy comprises of the first three games that were released: Phoenix Wright: Ace Attorney, Phoenix Wright: Ace Attorney: Justice for All, and Phoenix Wright: Ace Attorney: Trials and Tribulations. Each of these games tell different cases where players have to go into trial as an attorney and defend your client by going through a series of texts detailing on what happens. There are about 14 trials that players can go through in all three games and for completionists out there, you are looking at around more than sixty hours to finish them all. In the Ace Attorney series, the game takes place in the United States but the court system is somehow based on the court system of Japan. In the fourteen trials of all three games, the story spans over the period of several days and is broken down into several different areas like in the courtroom or the crime scene. At each trial, players will go through somewhat of a scene of the crime and will eventually lead to different characters talking. For the most part, the game takes place in the courtroom where you will see yourself, as Phoenix Wright, defending your client. As the witness goes into the center stage and provides their testimony, it is your job as the attorney to find loopholes and inconsistencies to their statement. When you find something is wrong with their statement, you can either have them expand it so that they can explain it, or brutally tell them that they are lying by showing them evidence that contradicts them. Playing through the courtroom sessions may seem easy, but in order to prove your client’s innocence, you must present correct evidence and make the witnesses look like they’re totally lying. Sure, you can as much examine every statement or present evidence but please note that you are only allowed a certain number of times. Excessive mistakes in presenting your evidence at the wrong time will lead to a game over, making you lose your client. Pretty much, the game will require more thinking and analyzing to successfully make your client have a verdict of not guilty in the end. Since a trial doesn’t take in one day usually, there are times the judge will adjourn for the next day. At this time, players will go through the investigative phase where more story on the case will be revealed. 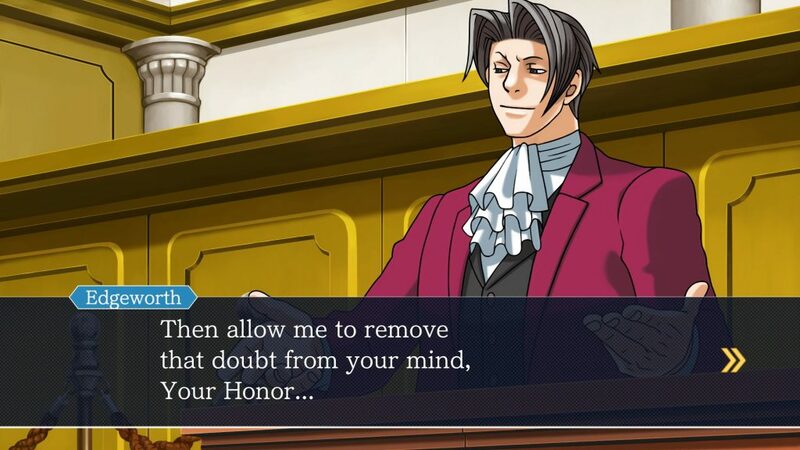 During this moment, players will then go through different scenarios where you will gather evidence that you can show to the court room the next day. Similar to the courtroom sessions, you must really use critical thinking to successfully find the evidence you need. At first glance reading through the statements and the conversations, you might jump into conclusions already but what makes this game so good is the impressive writing. I must say that in order to be successful in playing this game, read through the lines more than once and make your judgement. The game is pretty much linear but don’t get caught off-guard with the charming character of the witnesses. Not to mention the characters are also easy to fall in love too. As this game is available now on PlayStation 4, Xbox One, and PC, the game looks phenomenal. The visuals have been upgraded from their original versions and they look good in both 1080p and 4K. For those who have played the iOS version, it’s pretty much the same HD treatment where the character models have been redrawn to make it look crisper. In the three games that are included in this collection, you are free to play in any order but to get a good flow of the story, it’s best to play them in order. For new content, there is sadly none. What players will get is pretty much a straight HD port and nothing else. At its $30 price tag, I say it’s damn worth it, making each of the game costs at $10 each. Though if you have an iPad Pro or something, it’s much cheaper in getting the mobile version.